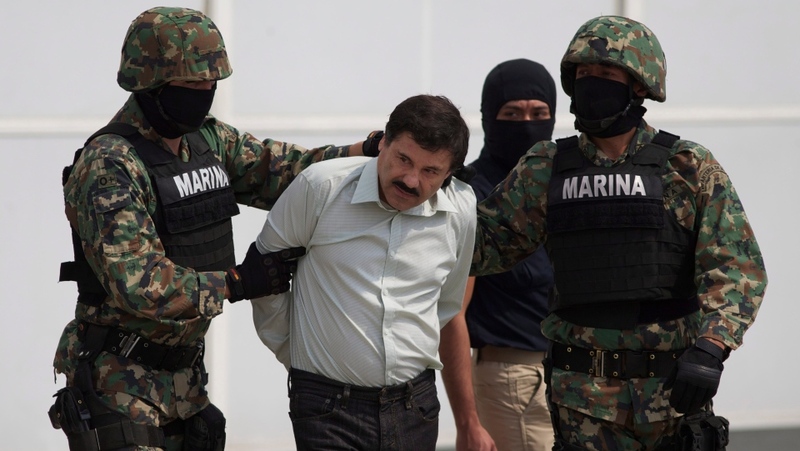 CULIACAN, Mexico -- U.S. officials are hailing the conviction of Joaquin "El Chapo" Guzman as a victory for the Mexican people, but in the drug lord's home state of Sinaloa, cradle to his powerful cartel, many residents say they don't expect violence and trafficking to abate. As news that the Sinaloa Cartel kingpin will likely spend the rest of his life in a U.S. prison headlined Wednesday's newspapers in the state capital of Culiacan, most people took it in stride -- though Guzman's family members in the mountains were said to be angered by the verdict. "For the crimes he committed, life in prison seems pretty fair. ... I mean, it's not going to end the problem of narco-trafficking," said Mario Rodriguez, adding that he feels "very unsafe" in his city. Sinaloa regularly posts homicide rates among the highest in Mexico, including 43.89 killings per 100,000 residents in 2017 -- well above the national average. The violence is often localized and often involves conflicts between rival gangs over street-level drug dealing. "I think this is going to continue with or without him," Rodriguez said. "I think there are certain kinds of people, with a certain way of dressing, with certain kinds of vehicles that one avoids, because even though it seems like prejudice, they could be involved in something like that." Guzman gained notoriety in Mexico and abroad for twice pulling off brazen escapes from maximum-security prisons in Mexico, presumably with the help of corrupt officials. Ballads known as "narco-corridos" were composed extolling his exploits as he evaded Mexican justice for years. But many in Culiacan reject the outlaw myth associated with Guzman. 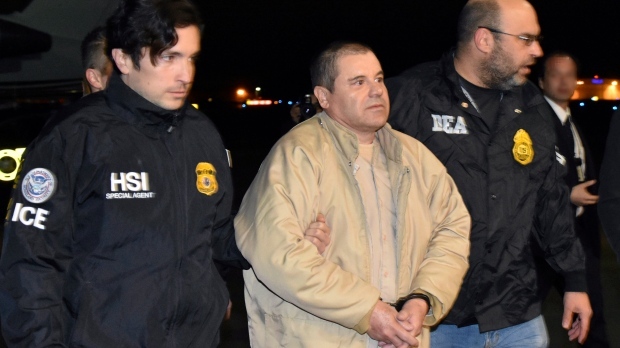 "'El Chapo' is not a persona. He is a criminal," said Tania Venegas, also from Culiacan. "That's why drug trafficking will always exist, people see it as the easy path." Guzman now stands to spend decades behind bars in a supermax prison south of Denver, and Mexican President Andres Manuel Lopez Obrador saw in him a cautionary tale. 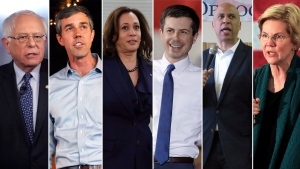 "Let this serve as a lesson to show that money doesn't buy true happiness," Lopez Obrador said Wednesday at a news conference. He mused that "happiness is having a clear conscience and being at peace with one's self and others." Lopez Obrador, who took office Dec. 1, says his anti-cartel strategy will not focus on hunting down kingpins and has launched a campaign aimed at persuading people not to break to the law. Its slogan: "We're all going to behave." In the Sinaloa mountains where Guzman was born and which he long used as a stronghold and hideout, news of the conviction spread quickly even in remote communities. "Here there is no cellphone signal in many places, much less internet," said Pedro Cazarez, a resident of Temeapa, near Guzman's hometown of La Tuna in Badiraguato municipality. "I heard about it when I got home. But by word of mouth, it's already known everywhere." Miguel Angel Vega, a journalist for the publication Riodoce who visited the mountains recently, said the news had reached Guzman's family members. "I have been in contact with some of his relatives and they tell me they are outraged by the verdict," Vega said. In Badiraguato, home to about 31,000 people and nestled in the drug-producing Golden Triangle region of northwestern Mexico, it's practically impossible to find anyone who hasn't had direct contact with Guzman or knows someone who has. "El Chapo" is known to have provided jobs in the community, and locals say the municipality's economy has collapsed since his most recent capture in 2016 and subsequent extradition. "Very little movement of money ... you see a lot of poverty," said Jaime Laija, who runs a small kitchen on the main highway between Culiacan and Badiraguato. Vega said Guzman's sister confirmed to him that last week people in La Tuna and nearby towns were organized to pray for an acquittal. In 2014, hundreds of people marched in Culiacan to urge Mexico not to extradite Guzman to the United States, but there was no similar protest this week. Sinaloa police chief Joel Ernesto Soto noted Guzman has been out of the state and in custody for several years, saying his conviction "will not directly have repercussions for us." An initial succession battle involving Guzman's sons and a rival faction is said to have fizzled with the arrest of the faction's father-and-son leaders, but in Culiacan, resident Javier Bastidas still worries. "The people closest to (Guzman) are going to be angry," Bastidas said. "For as many as they catch and catch, more criminals appear."